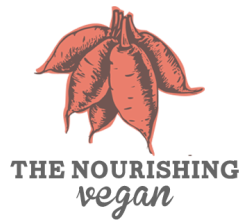 The Nourishing Vegan offers an assortment of private and group NYC vegan cooking classes in your home. Whether it's pecan waffles, sushi, vegan buttermilk biscuits, hearty lasagna, bountiful green salads, chocolate chip cookies, gluten-free muffins, Pad Thai, raw food, 5 ingredient meals, or falafel I can show you how to make it! Actually, my experience in the kitchen extends far beyond the recipes listed above. Below you'll find a handful of my most popular cooking class menus. Items can be mixed-and-matched. Each class usually features 3 or 4 recipes, and runs for about 3 hours. If you'd like something else that isn't listed below just let me know when you email me to schedule a class. Class prices vary depending on the size of the group and cost of groceries. The average price for a group of 4 is $500 (grocery cost included). Please contact me for a quote.